2019 is the 75th anniversary of D-Day, and we will be exploring the sites and experience the beauty of the coast of France that saw the first days of the turning of tides of WW2. 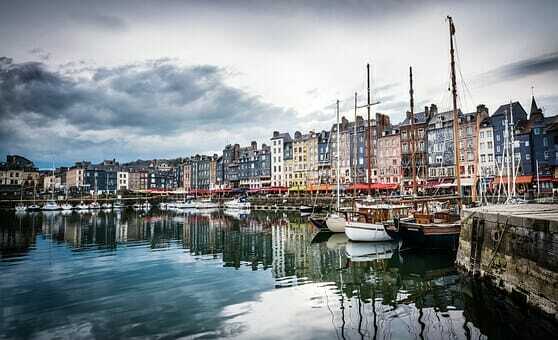 The tour starts near the port city of Le Havre, at the mouth of the Seine River, in the lovely town of Honfleur. We will be here 2 nights to fully explore Honfleur and it’s beautiful shops and harbor on foot and on bicycle. We then head south along the beautiful Atlantic Coast to Cabourg and stay at the Grande Hotel Casino, right on the beach for 1 night. We continue south on the coast and cross the famous Pegasus Bridge, passing Caen, then the Invasion Beaches and on to beautiful Bayeux for 2 nights. We explore on foot and by bike the amazing Museum, Cathedral and view the Bayeux Tapestry. There is wonderful shopping. Then to Omaha Beach for 1 night and visit the very moving American Cemetery and other amazing sites including a moving film at Arromanches. We end the cycling adventure here. We then transfer you by van to Mont St-Michel for our final night. See full itinerary below. To learn more about our bike tours please CLICK HERE. Dates: 21 to 28 (or 29) September, 2019. Service: Fully supported guided tour. Type of riding: Rolling to flat terrain. Meals: Includes 7 breakfasts and 4 gourmet dinners. If you add on an extra night at Le Mont it adds 1 breakfast and 1 night. What’s Next? Registering for your tour! Questions: First, please feel free to ask us any questions about the tour. We are happy to help clarify any details. Registration: Once you are ready to register please go to https://outfittertours.com/registration/ and complete the registration form. EACH tour participant will need to complete the form. At the end of the registration for you will be asked for a US$800 deposit. You can pay the deposit by bank check, wire, or credit card. 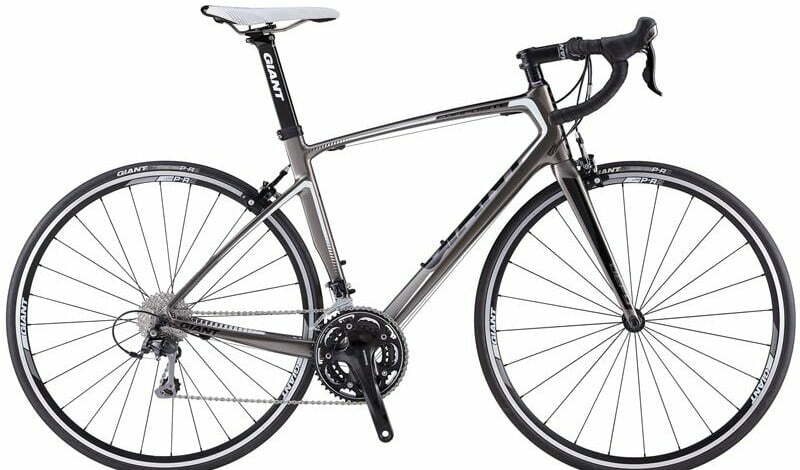 Once we have all registrations we will secure all of the details of your tour – hotels, bikes, etc. Final Payment: 60 days prior to your tour we will invoice you for the balance of the tour. Tour Packet Delivery: Once the balance is paid and approximately 30 days before your tour we will send you a complete tour packet containing all details of your tour – accommodation information, detailed routing, a suggested packing list, maps, tourist guide, and much much more! For more information on our Terms & Conditions please CLICK HERE. Welcome to Le Havre! 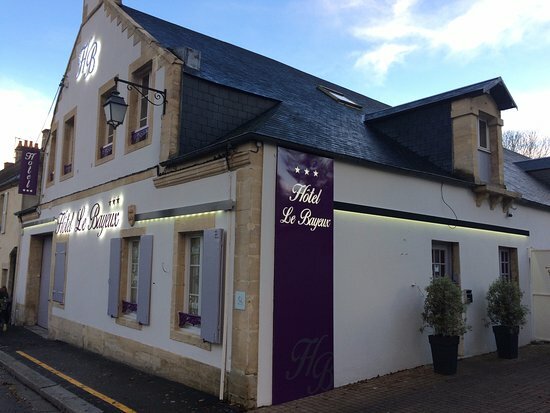 We will pick you up from the train station and take you over the beautiful Pont de Normandie to your first hotel in the heart of Honfleur**, a Michelin 2 Star site. Once you arrive at the hotel, relax and enjoy the afternoon. The Old Town is located around a small beautiful harbor near our hotel. Some exploration is suggested. 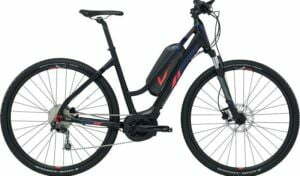 If time allows we will start fitting bicycles. The Welcome Dinner is included at the hotel or nearby. 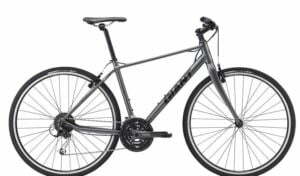 After breakfast, we will finish fitting bicycles and have a short route for you to check it out and make any adjustments needed. We suggest taking the Old Town** Walking Tour. Dinner is on your own tonight and there are many wonderful options, including a Michelin 2 Star, “Sa Qua Na”, within walking distance. 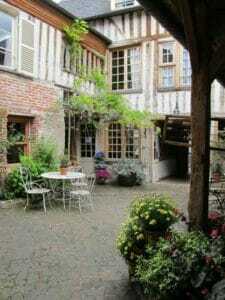 After breakfast, you head out of Honfleur with several interesting sites to visit along your way. Use your GG. You shortly have a climb and over the hill to the beach towns of Trouville and Deauville. 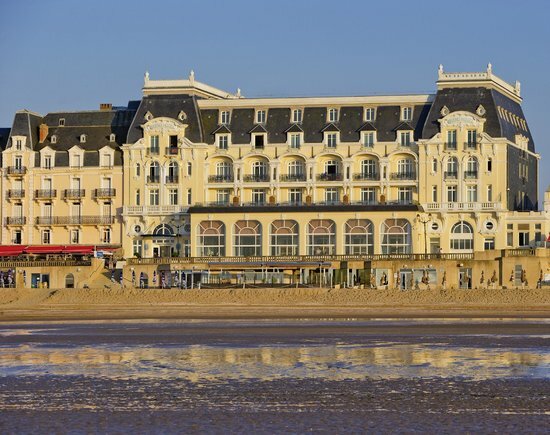 You then continue southwest along the Atlantic Coast to Cabourg, to your Casino Hotel, right on the beach. The hotel restaurant is closed on Tuesday so Dinner is on our own tonight. We have two nearby options suggested by the hotel. 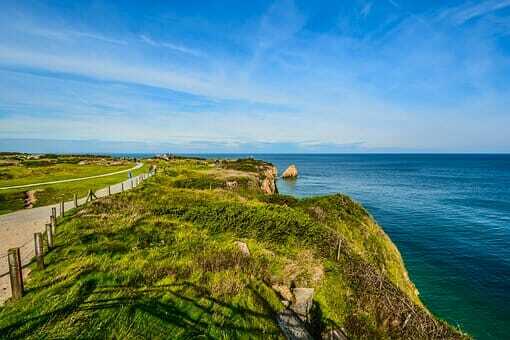 It is a lovely ride mostly along the ocean to the Orne River. You follow the Orne inland toward Caen to the Pegasus Bridge* and Memorial for a visit and possibly lunch. Then across the bridge and then right and back to the ocean where you will pass Sword, Juno and Gold Invasion Beaches on your way to Bayeux. At Gold Beach, you turn inland direction Bayeux**. Your hotel is in the center of this lovely small city. It is the only city in the invasion area not to be destroyed as were Caen and others, sparing its cathedral and other buildings for us to view today. Settle in for 2 nights. Dinner is at our hotel tonight. We will take an extensive walking tour, making it a full day. There are many good places for lunch and dinner is on your own tonight. You head back to the coast to Arromanches 360 and the Movie in the Round of Normandy then (D-Day) and now, very moving. 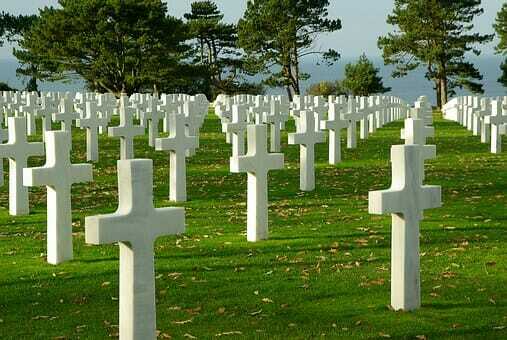 Then on to Omaha Beach and the American Cemetery. 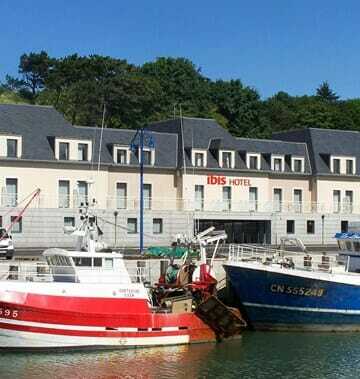 Our very popular hotel is on the edge of Port-en- Bessin and dinner is included tonight. We leave the bicycles behind and van to Le Mont St-Michel. Our final hotel is on Le Mont. We should arrive by early afternoon after an optional visit of Utah Beach and St-Marie du Mont, or late morning if we skip the visit and head directly to Mont-St-Michel. We park at the foot of Le Mont and walk up to our hotel with our baggage. Our farewell dinner is at the hotel’s excellent restaurant and is included tonight. Breakfast is at the hotel and will include their famous Omelets. We will take you by van to the train for Paris in Rennes. You should be in Paris by early afternoon. If you extend for a 2nd night at Le Mont, you would depart on Sunday, 29 September.